We went over to Lake Andrew early to see if that duck was still around, but all we found were 5 Common Teal. Out on the lake were two Common Loons — one in breeding plumage and one not. Still no passerines at any of the willows, spruces, or feeders (other than locals). 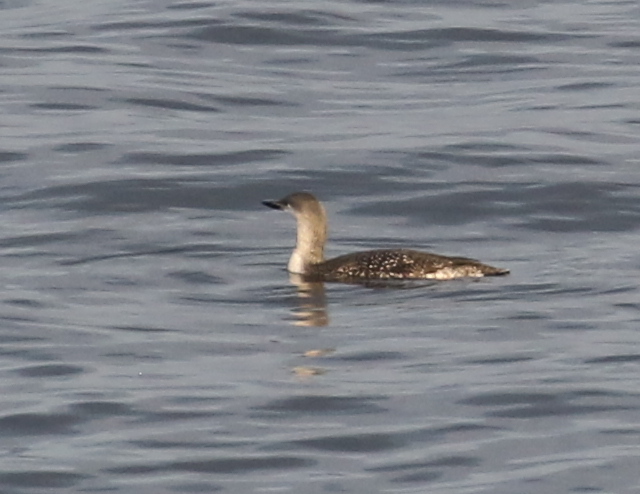 At the Seawall, the number of grebes continues above average. We are seeing around 20 Horned and 25 Red-necked each day. 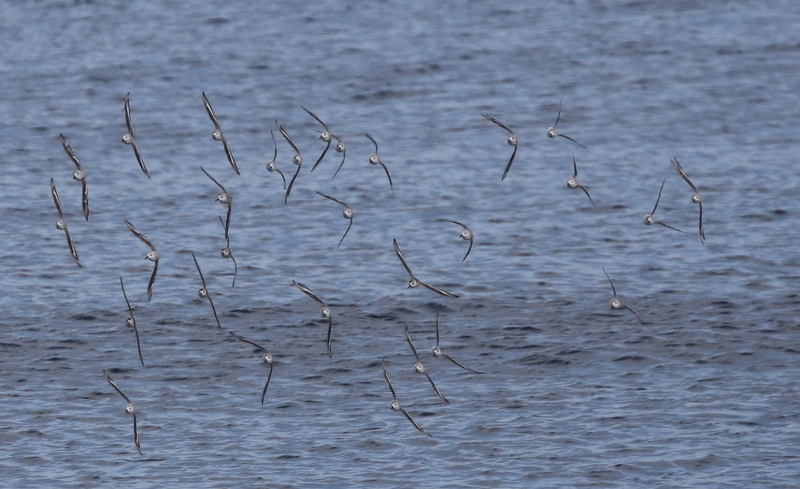 At the Airport Creek Bridge, Barb spotted he Sanderling flock coming in. There were 29. But the excitement of the day came as we were approaching the Lake Andrew Rec Center. We stopped to look at the ponds, and just as we did, a shorebird flew out. 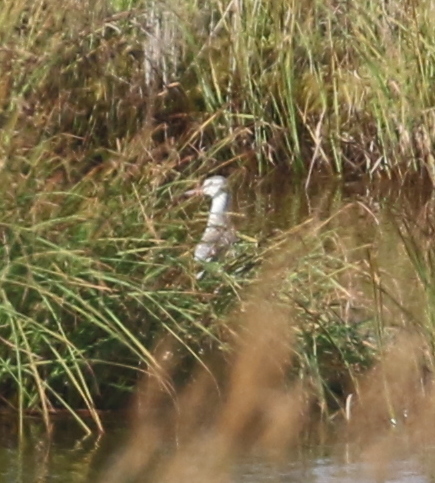 It was pale gray, had a white stripe up its back, a long bill, and orange/yellow legs that stuck out beyond the tail. We don’t know if our presence or the eagle or the ravens flying over agitated it, but it flew back and forth (too fast or me to photograph it) and finally landed in one of the ponds behind some reeds. I took the best photos I could and then it flew up again and circled around and disappeared. Based on what we saw in flight and the head, bill, and neck markings seen in the photo, we believe it is a Spotted Redshank! Our second for the year (but different plumage)! Good thing that we had the breeding-plumaged bird last May, as this was not very satisfying. This is the first Asian bird we have had on this trip, so we are optimistic that some others may show up. We have been in a westerly flow for several days, but the winds have not been very strong. We subsequently searched all of the usual places that it might have gone, to no avail. I usually do not like walking the Clam Lagoon marsh edge on consecutive days, but I had to in case the bird had settled there. 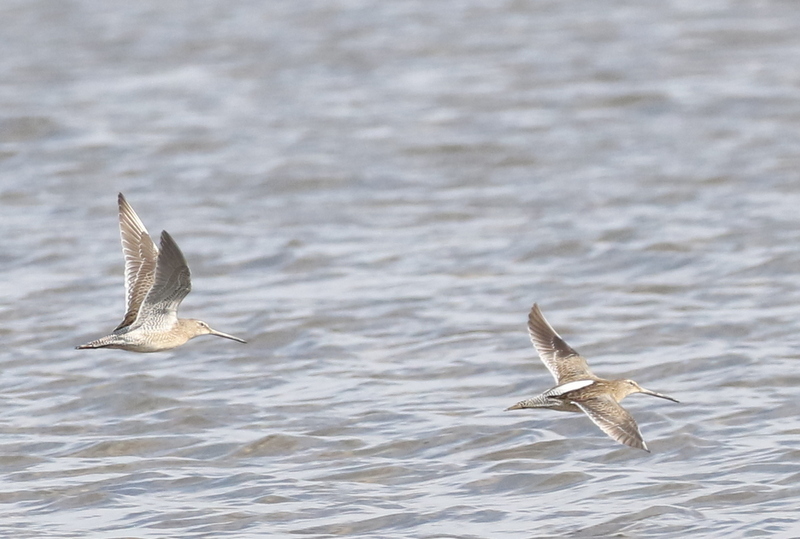 I did not find it, but got a nice shot of the Long-billed Dowitchers. After dinner, we ventured out again and decided to use the western lighting to scan Kuluk Bay. 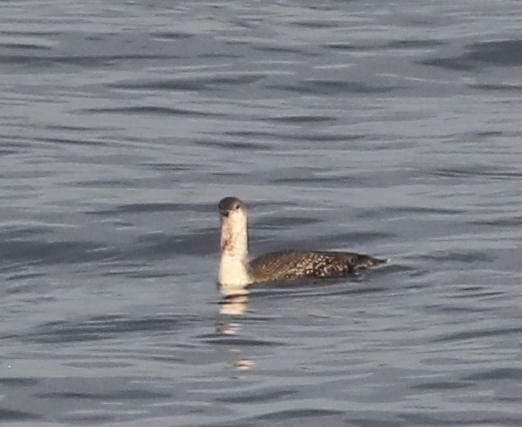 We were rewarded with a nice Red-thoated Loon. 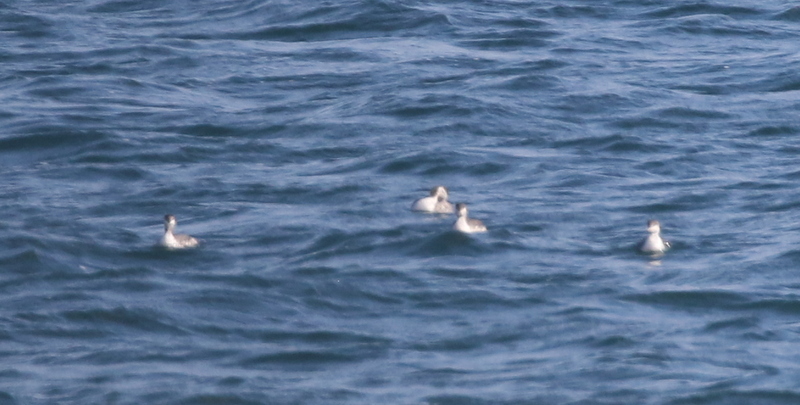 The first one we have had within reasonable photo distance. 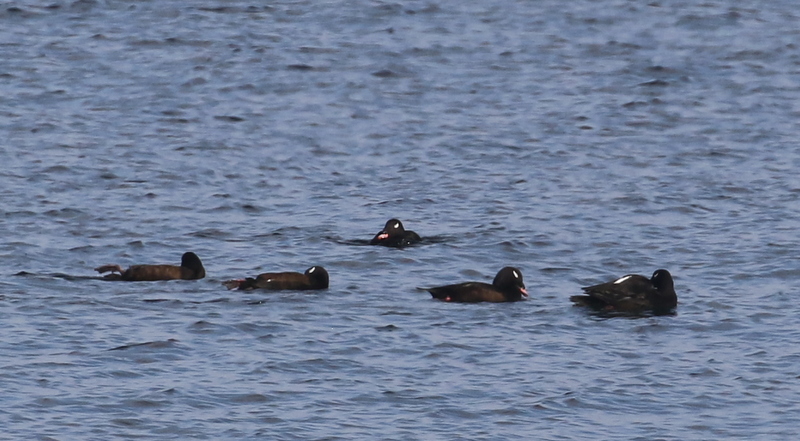 We also had some nice White-winged Scoters. The Trip List is 53 (above average) and the Year List remains at 89.